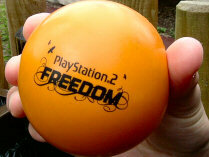 We've uploaded some photos of the Freedom Weekender event which is currently taking place. Click here to see the photos, including (amongst other things) McFly preparing for their TV shoot. The event is running until Sunday 4th September (inclusive), so head to the park if you can.